India might have played their last ODI before the Champions Trophy that was hosted by England in June, 2016 but that doesn’t mean the side should have any problems going into the competition. Especially with respect to rustiness given that the Indian Premier League will finish around a week before the start of the Champions Trophy. The Indian Premier League kick-started in the first week of April. The final of the IPL 2017 is expected to be played on May 21 before the Indian team leaves for England for the Champions Trophy. 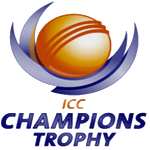 The Champions Trophy, of which India are the defending champions, kick-starts from June 1. Indian team for ICC champions trophy 2017 is placed below. India last played an ODI against England on the 22nd January. Will that be a problem for India? Indian captain Virat Kohli doesn’t seem to think so. Speaking to the media at the conclusion of the ODI series against England, Kohli said the IPL will help his side fine-tune their performances for the Champions Trophy, with their bowlers getting a special mention. Already, Bhuvneshwar Kumar’s excellent bowling has been spoken about among the fans and in the media and he has credited the influence of IPL to his ability to be able to retain some of the control on flat Indian surfaces. Royal Challengers Bangalore skipper Kohli said the biggest advantage India will have going into the Chanpions Trophy will be the number of IPL games they will play which in turn will help the bowlers prepare a lot better than other teams. Interestingly though, he added the batsmen will need to rely on their Test match techniques and add to it during the ODIs and T20Is without getting “reckless”. Some of the Indian players to look forward to during the Indian Premier League will be Yuvraj Singh and Kedar Jadhav, two players who have shown excellent form in the ODIs against England. Yuvraj was on a comeback trail after his performances in the Ranji Trophy and played two handy knocks in the three games in the series while Jadhav seemed to have sealed the number six slot with a century in the first game and a near-match-winning performance in the third. Do you think the 2017 IPL will help India’s showing in the Champions Trophy?